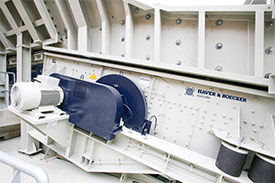 Engineered for the demands of the aggregate and mining industry, the GrizzlyDrive is a conveyor drive where the motor, gearbox and all drive components are enclosed inside the drum protected from the environment. 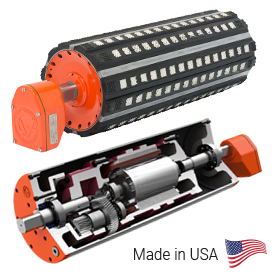 The GrizzlyDrive is designed exclusively to perform and operate in harsh and vibratory applications. 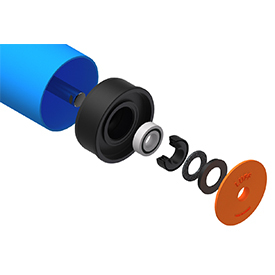 It features robust mechanical seals which prevents abrasive dust and water to penetrate the unit, heavy-duty bearings to absorb heavy shock loads and high belt tension, planetary and coaxial gear configuration. The patented IronGrip high performance lagging increases durability and lifespan. The GrizzlyDrive design with no external moving components, improves safety, reduces energy consumption and reduces maintenance.